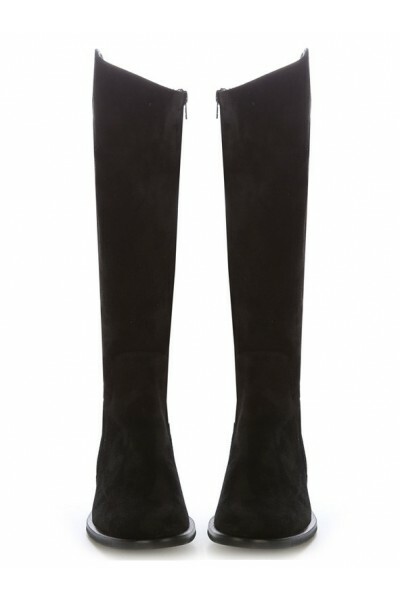 Custom-made black suede leather riding boots. Traditionally made, with high-quality mix of leathers, for elegant riding boots with a stunning cut for women by shoesmade4me.com, your luxurious leather riding boots manufacturer. 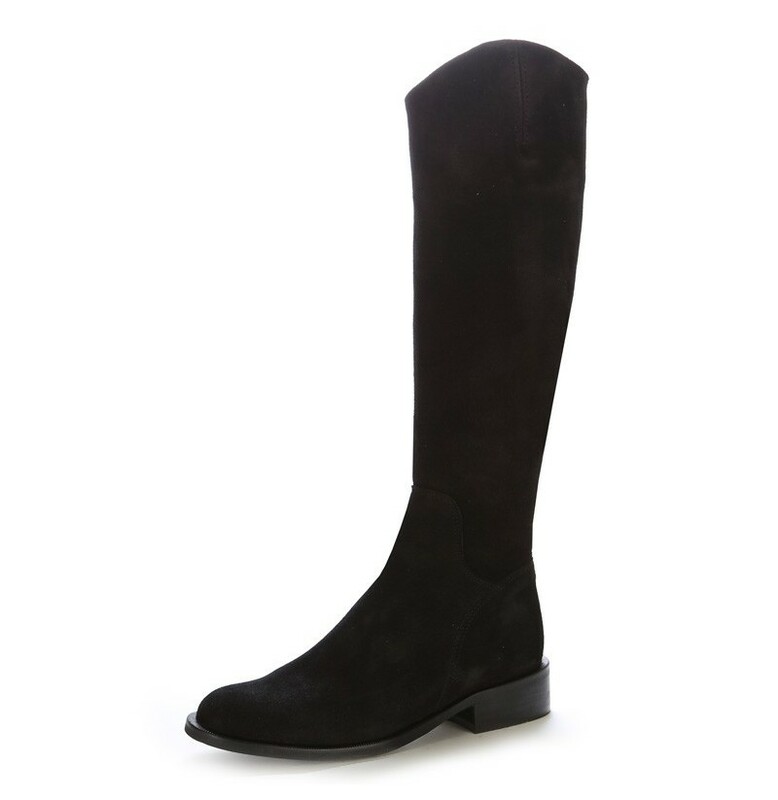 Black suede leather made to measure riding style boots These splendid black suede leather riding boots are elegant and trendy with their asymmetric cut. With their comfortable cut and their uncluttered design, thesebeautiful leather boots will provide you with comfort and resistance. You can wear them in town or during your equestrian hobbies. 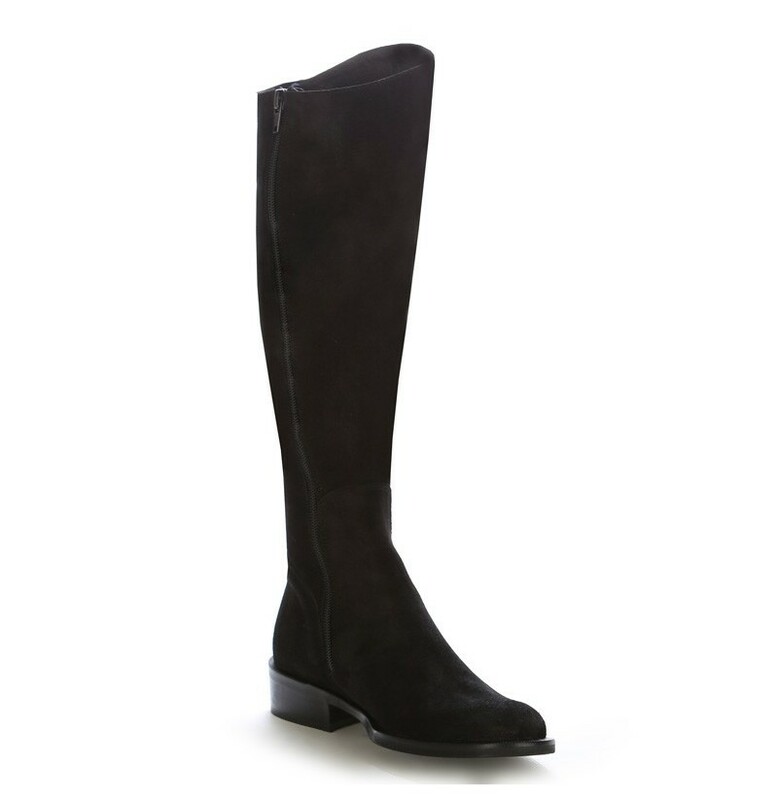 These leather boots are adorned with a zip on the inside of the leg. The sole and insole are made of leather. These riding boots are madefollowing the most traditional custom. The range of sizes available for these handmade boots is from 35 to 41, and from 42 to 47 on special order. Shoesmade4me enables you to choose the colour of the leather for the making of your custom-made boots. In order to do this, please take a look at the leather colour palette to choose your preferred colour. You can also choose the sole type that you would like and even add accessories such as a non-skid skates or zip fasteners. If you need help with taking your measurements, shoesmade4me is pleased to guide you and advise you on how to take your measurements. Votre panier affichera alors le produit ainsi que vos mesures, et nous recevrons le tout lors de la finalisation de la commande.